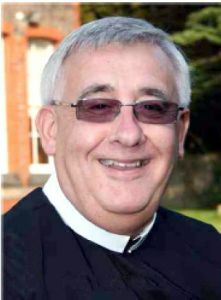 On March 18, Pope Benedict XVI appointed Redemptorist Father Ralph Heskett of the London Province, as the Bishop of Gibraltar. He will succeed Bishop Charles Caruana, KHS., C.St.J., who has surpassed retirement age and was awaiting a successor. Episcopal ordination is expected sometime in June. Father Heskett was born on March 3, 1953 in Sunderland, England. He grew up in the Redemptorist parish of St. Benet’s. He professed first vows as a Redemptorist on August 28, 1971 and made perpetual profession on August 30, 1974. He was ordained on July 10, 1976. He has worked in mission and retreat ministries, and has served as vocations director and novice master for the London Province. Gibraltar is situated at the southern end of the Iberian peninsula at the mouth of the Mediterranean Sea. Besides its interesting geological formation — it is commonly referred to as the “Rock” — Gibraltar also has an interesting political, religious and ecclesiastical history. Today, governmentally, Gibraltar is a British oversees territory. Before the 18th century, however, it was part of Spain and part of the diocese of Cádiz, Spain. Bishop-elect Heskett becomes the third member of the London province to be raised to the episcopacy after Bishop Robert Aston Coffin, bishop of Southwick, England (1882-1885) and Bishop Hugh McDonald, bishop of Aberdeen, Scotland (1890-1898).